Having tried all of the other sushi restaurants participating in Dine Out Vancouver 2016, I made my way through rush hour traffic from SFU to Steveston to try out the Chinese-operated Yokohama Japanese Restaurant. Hidden at the end of an alley, Yokohama Japanese Restaurant features a few teppanyaki booths, and the chef at each booth would grill your food on the spot, which occasionally resulted in bursts of flames. However, the restaurant also serves many different types of Aburi sushi, and wanting to try some of this, I went for the sushi option of the Dine Out menu. Starting off the meal was the Lobster Miso Soup, which came with green onion, tofu, and a bit of lobster shell. 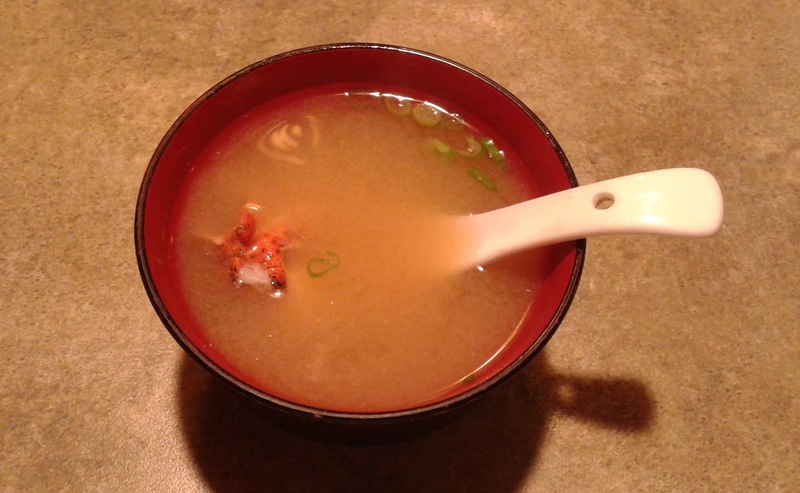 There was not even a tiny chewable piece of lobster meat, and the Miso Soup had less depth of flavour than the average regular miso soup. The lack of lobster or lobster flavour was rather disappointing. The Yokohama Green Salad was dressed with a tangy Caesar dressing that mimicked the tangy flavour of Japanese vinaigrette salad dressing. 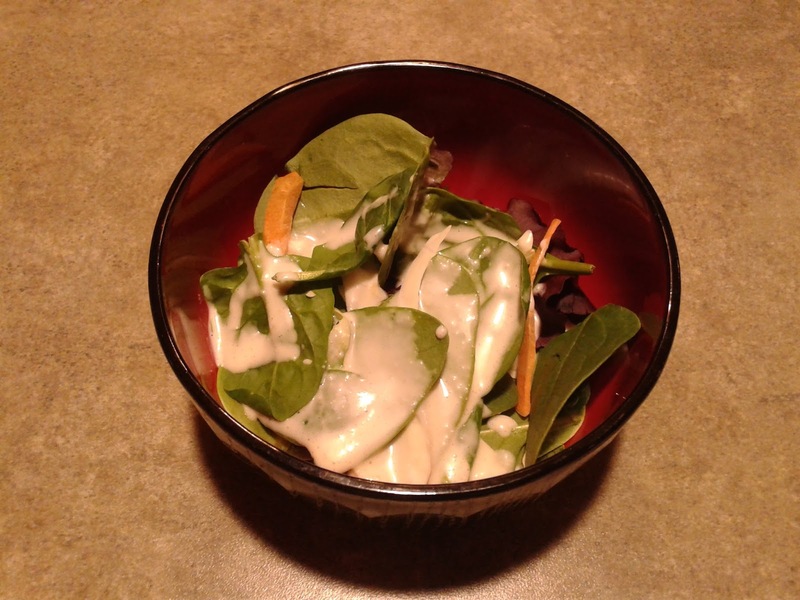 I enjoyed the slightly acidic flavour of the dressing, but the creaminess did not really work for me. Next came the entree with an assortment of sushi and sashimi. They took every effort to present this dish as amazingly as they possibly could. The server came to my table to blowtorch the sushi in front of me. 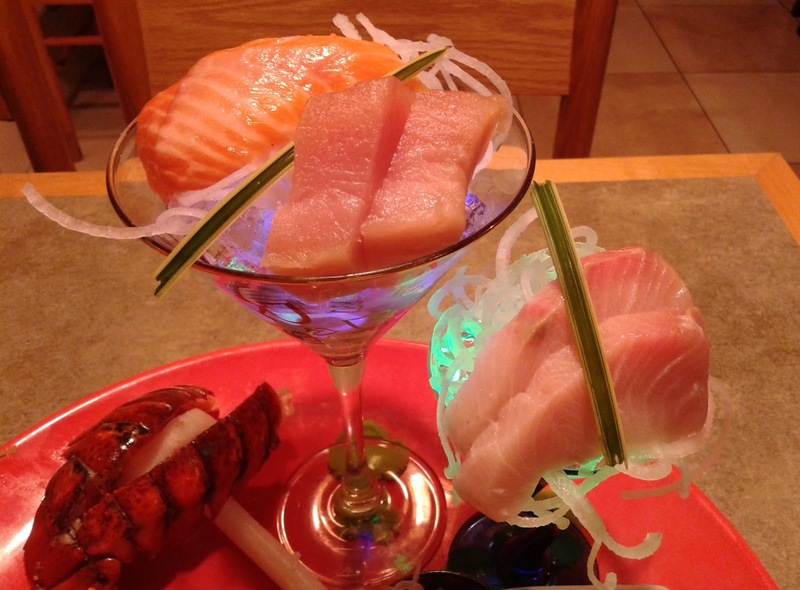 If you look closely, you can see that they even lit up the cocktail glass stands for the sashimi! 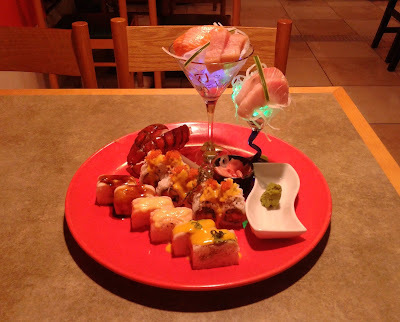 The only disappointment here was that there wasn't actually any lobster meat in the lobster shell. 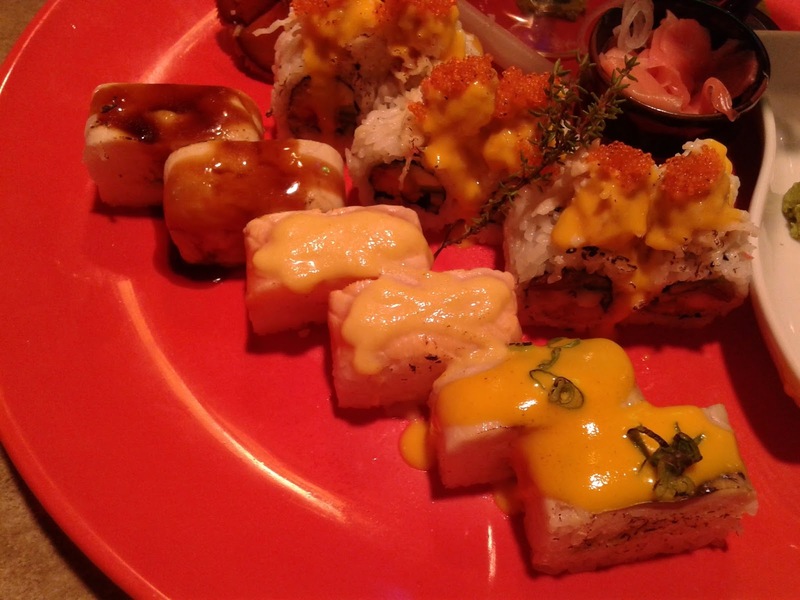 After taking pictures of everything on the platter, I dove right in to the Aburi hakozushi (box-shaped sushi). 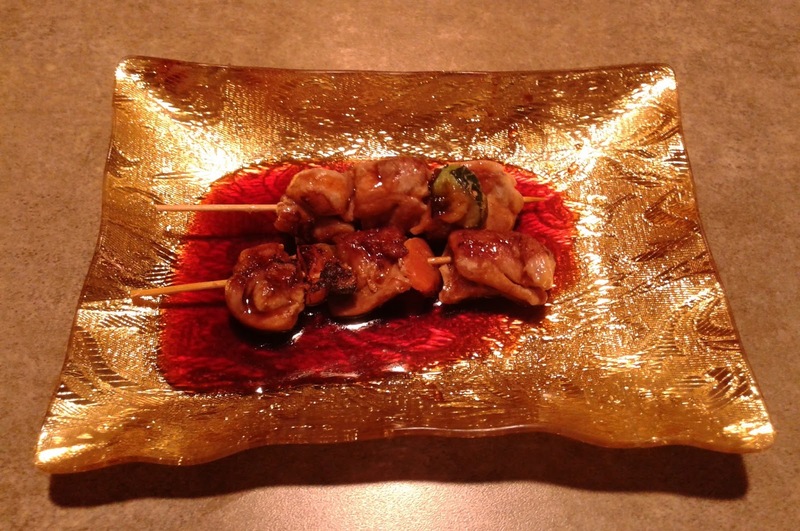 Now, if you ever want to have your aburi sushi dressed so that you can no longer taste the fish, this is it. The Aburi Tuna Hakozushi was dressed with teriyaki sauce, which completely overwhelmed the tuna (the same goes for the apple sauce on the salmon and the mango sauce on the saba). Adding to the dread factor, some of the teriyaki sauce got mixed in with the apple sauce on the salmon. However, what really drove it home was the perfectly bland sushi rice, which tasted as plain as water. Did they forget to add the rice vinegar?! WTF! If I wanted plain water, I could have gotten some for free. The Lobster King Roll is a torched roll consisting of lobster tempura, crab meat, ebi, caviar, mango sauce. I think this should have been renamed the Lobster Missing Roll due to the lack of lobster. The "lobster tempura" came with extremely minuscule pieces of lobster and tasted more like fried grease instead, which I found rather revolting. 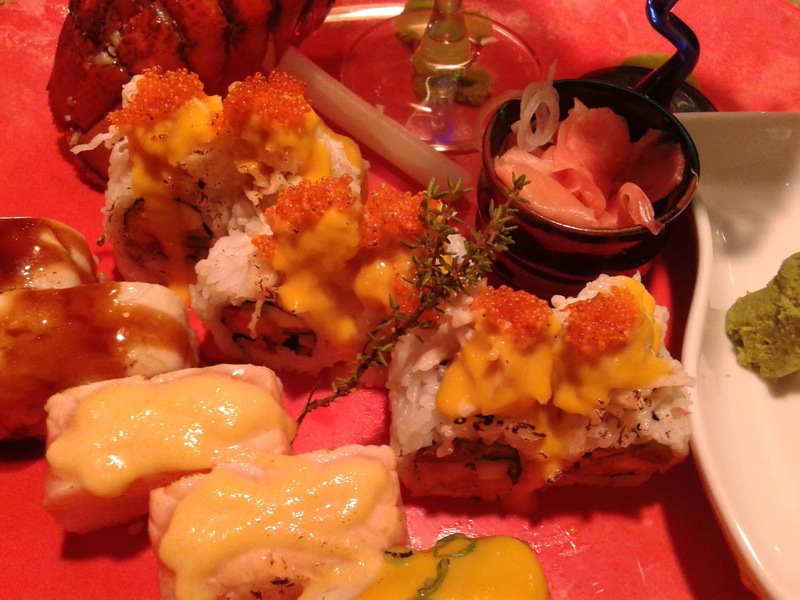 This clashed with the copious amounts of mango sauce on top, which drowned out the flavour of the crab meat. Furthermore, I could not taste any seared flavour, and the roll ended up being quite chewy due to the severely overdone tempura batter. The best part of the platter was undeniably the sashimi. The Salmon Sashimi had a soft texture and a smooth sheen, but it was cut into very small pieces and tasted bland. The Tuna Sashimi was better, being only slightly fishy with an adequately soft texture. The Hamachi Sashimi had a nice smooth texture and a creamy, buttery taste. 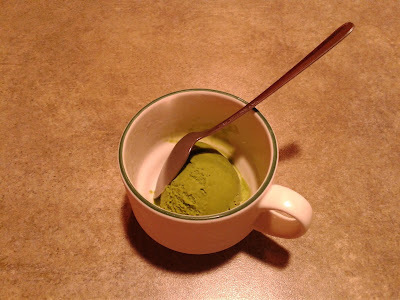 However, it was missing the mahogany part, and it had a slightly weaker flavour as a result. Seeing that so many people were crowded around the teppanyaki booths (yes, the restaurant was actually quite busy), I decided to give them a chance by separately ordering a Yakitori, and fortunately, this was less disastrous than the sushi. The chicken had a light charred flavour on the outside, and this time, they weren't skimpy with the meat. However, the chicken was a bit rubbery and flavourless on the inside. The service was rather unenthusiastic, lackluster, and rude at times. My server made a slight error while describing the Aburi sushi (which I could forgive), but when I asked him to repeat the description, he just walked away without a word. I only gave a proper tip because the other servers did their job somewhat more professionally. There were not that many bright moments during my visit, but I was most disappointed with the serious lack of lobster meat in what was advertised to seem like a lobster-themed dinner. They gave me the shell and everything, but there was probably about 5 grams of lobster meat in total (maybe even less). If they did not plan on serving me a single nice bite of lobster, they should not have emphasized lobster on the Dine Out menu. 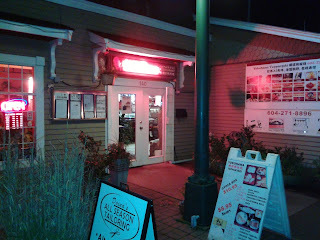 I felt like I was cheated, and I will not return to this establishment again. LOL It cost the usual... roughly $35 after tax. Yeah, I didn't walk in very high expectations either. I don't understand why the restaurant has so many customers. Perhaps I should have went with their teppanyaki option instead.